Gena represents beautiful, luxurious products, created so that anyone who wears them feels special. We combine fashion innovation with traditional craftsmanship , giving attention to the quality of materials and workmanship in order to offer you the best – a unique product that specifies a unique person. Our goal is to create headgear that by its appearance and perfection will influence style of appearance as a whole. In relation to the headgear, we offer complementary coats and other accessories. We want to provide customers with the highest quality therefore the accessories and clothing of Gena guarantee comfort and a long durability of the materials. That’s why we source from only the best European suppliers and produce only in Poland. The product creates a relationship with the client; we take care of it as carefully as of every product detail.Accessories and confection of the brand Gena are born from the passion and love for the craft. We draw our inspiration from international trade fairs, fashion history, local folklore, as well as the opinions of our customers. GENA brand products are made from natural, certified leather and fur exclusively of European origins. Finnish furs from Sagafur , Tuscan sheep skin and full grain leather, the Spanish merino are the best quality materials obtained from the world’s top sources. We select the European fur because we know it allows us to offer the best quality of leather, produced in line with best practices in the breeding of fur animals. These raw materials are certified, which allows us to verify the procedures to confirm a high level of animal welfare and professionalism of breeders, preserving the regime for the protection of the environment and veterinary standards. The uniqueness of the raw material is evident from its irregular texture, delicate shading and creases and differences in the structure and material thickness. The great quality of precious fur is evident in its velvety touch that is unique to these luxury materials. To ensure the highest quality of products, we produce them in Poland in our own factory, where we are able to overlook every detail of every single product. We are masters of the craft and educate and employ the next master craftsmen. We develop our own skills and skills of our staff, as maintaining the high quality of the manufacture requires continuous development of skills and technological knowledge. For the best quality results we use both traditional and modern methods of production. 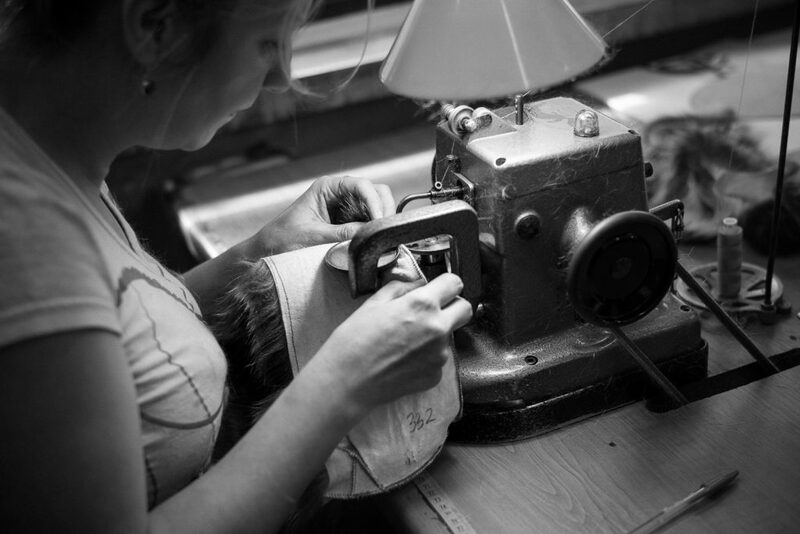 All products are exclusively manually cut, some hand-stitched and most are a combination of machine and hand sewing.